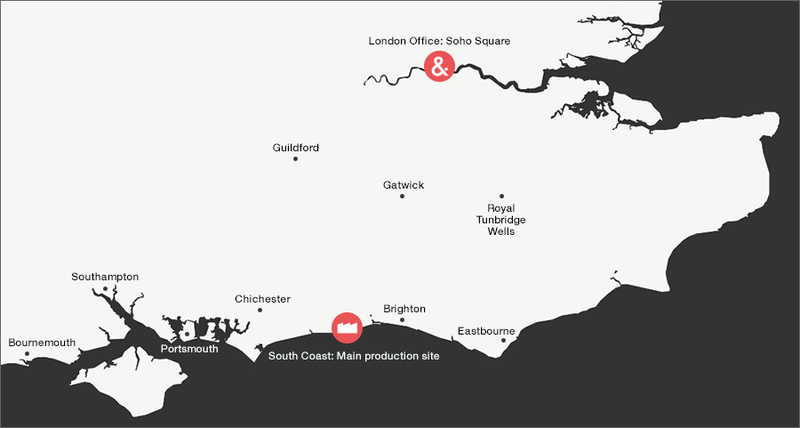 The L&S plant has been in Worthing on the South Coast for over 30 years. From here, we’re able to distribute printed materials to the UK and Europe on a daily basis. The L&S London sales office helps us to better serve our clients in the capital. Our vans also deliver to addresses across London every day. L&S Printing is part of the L&S Printing Group. © L&S Printing Company Limited.